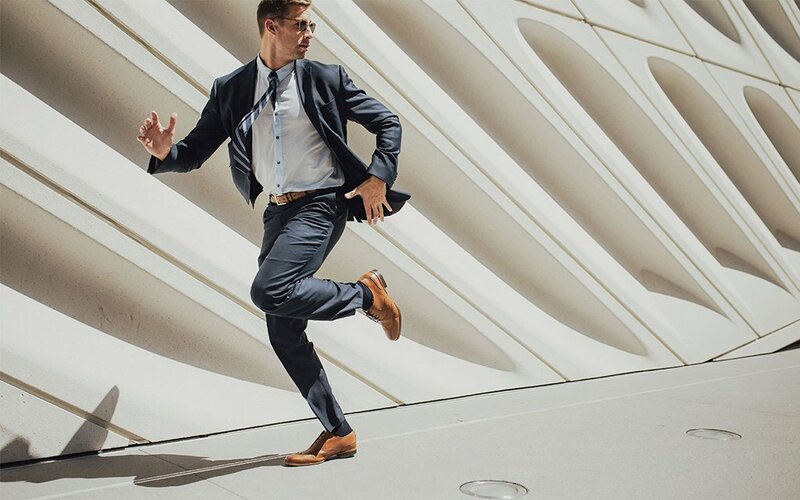 In 2015, LA-based Wolf & Shepherd stepped into the world of menswear with a dress shoe they claimed would be every bit as comfortable as a sneaker without sacrificing any style. That meant the heel wouldn’t look like a clog, the leather would be as supple and shiny as a Ferragamo and — like most new entrants in the age of we-can-make-it-better-and-cheaper — the internet would be their storefront. Athletes like Steve Nash and Rashad Jennings started wearing them, as did Jeremy Renner and Luke Hemsworth. Syracuse runner Juris Silenieks laced up a pair for the Hotlanta Half Marathon in 2016, setting a Guinness World Record when he ran 13 miles in 1:17:05. The numbers don’t lie. W&S were profitable in year one, and have since sold 20,000 units and grossed $10 million in revenue, with prices ranging from $195-$550 per pair. 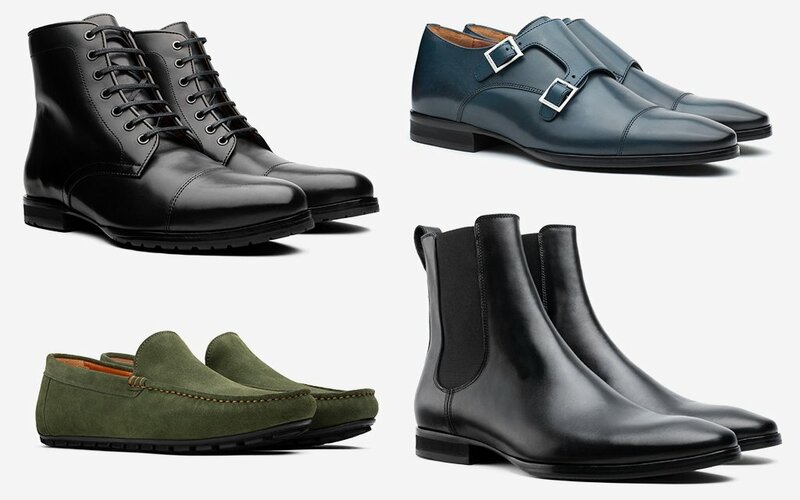 Their offerings are simple: wingtips, monk straps, loafers and Chelsea boots, all handcrafted in Porto, Portugal, with fine Italian leathers and Parisian waxes. And now they have an actual storefront at the newly remodeled Westfield Century City, on the west side of Bloomingdales. I recently swung by to see what was what and trotted out in a pair of driving loafers. It felt like walking on a cloud. I also had a chance to test out some jet-black lace-up boots, which came with a handy card that detailed in simple illustrations how to soften (massage joint points), clean (Saphir Renovator Cream) and repair them (send ‘em back to W&S). In the days since, I’ve worn both pairs often. My feet and ankles felt completely secure while running three miles along the Marvin Braude path that snakes along the PCH, hiking the steep side of the Temescal Canyon loop and spending countless hours typing away at a stand-up desk. Verdict? They are indeed, very, very comfortable. They’re light and flexible like a sneaker, which means they also pack well in transit. Would I opt for them in lieu of a trainer for legitimate athletic activities? Hell no. But they’re not made for that. You will feel completely confident running to catch a flight in them, and you’ll also look handsome doing so. 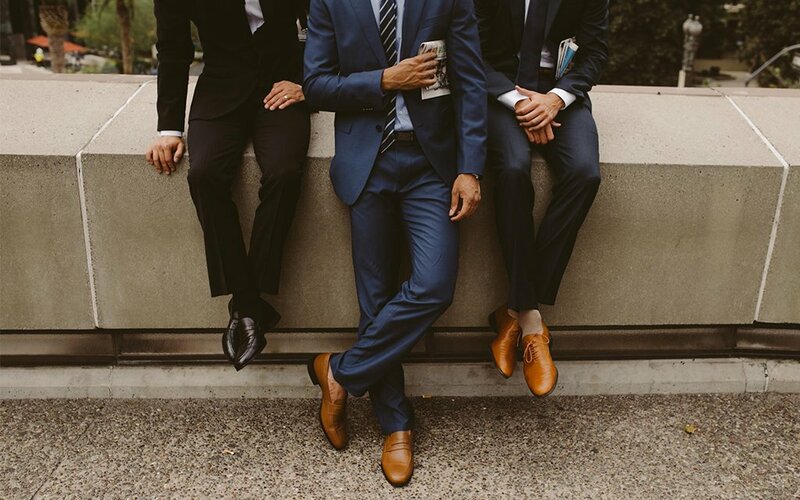 More interesting than the notion of running Pamplona’s bulls in a pair of Wolf & Shepherds (which has been done) is that they have truly revolutionized how men’s dress shoes are manufactured. The technological advances are fascinating, and when founder Justin Schneider rattles them off, he sounds like an engineer talking about the new bells and whistles on a hot rod. Schneider ran at Notre Dame, stands well over six feet and wears a suit like he just exited CAA. After graduating college, he designed shoes for New Balance and Adidas before leaving the industry for a stint to work for National Geographic. As the story goes, he came back from working in Madagascar and a banker friend asked how come his $695 English shoes were so damn uncomfortable. That got Justin thinking. 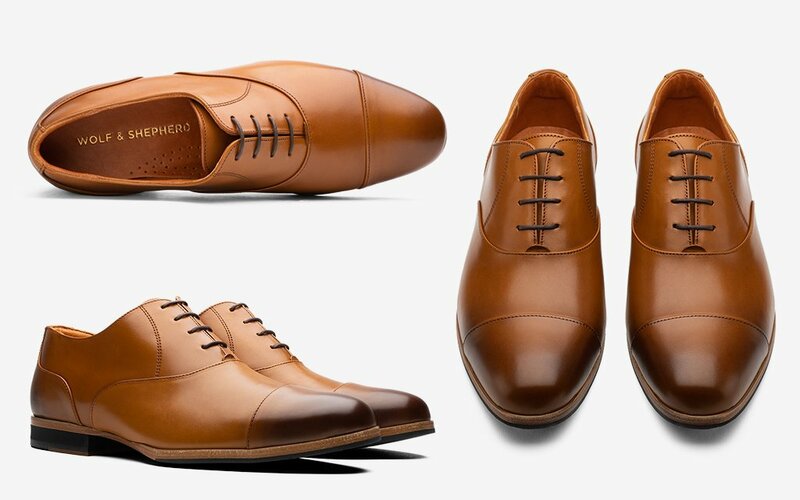 He took apart the traditional welt dress shoe and realized he could do it better. “After that’s been compacted (because it needs to have some rigidity and adhere to the upper and the bottom), we shave off as much as we can by fiddling, a traditional method of shaving away weight on the inside, under the arch,” says Schneider. “Then we replace that with carbon.” It all adds up to a silhouette that is about half an inch more narrow on each side than a traditional welted shoe. “Having worked in athletic shoes and memory foams and EVAs for two of the largest sportswear brands in the world, trust me when I say that cork is antiquated.” W&S replaces it with a proprietary memory foam that retains 95% of its elasticity and cushioning. While most foams start to lose their compression after about two weeks, Schneider says his will last for closer to two years. W&S has a provisional patent allows them to resole the shoe in the forefoot and heel. If you buy a shoe from a traditional shoemaker for more than $300 and get it resoled, you’re looking at around $145 with a six- to eight-week turnaround. “We have a three- to five-day turnaround and it’s $75 for a full resoling with the original manufactured parts,” says Schneider. That’s one small step for shoemakers — but a giant leap for those of us who wear them.